Receive strobe notification of your visitors all throughout your home! 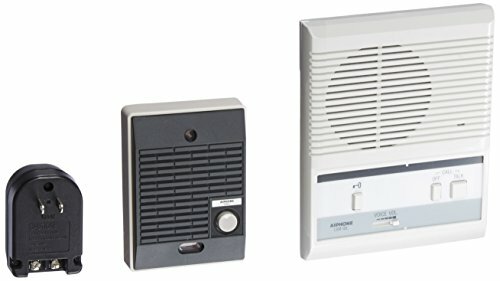 Add up to two additional strobe receivers to the 224WH Wireless Door Chime System (three receivers per doorbell transmitter). The Strobe receiver plugs into any A/C outlet in your home. 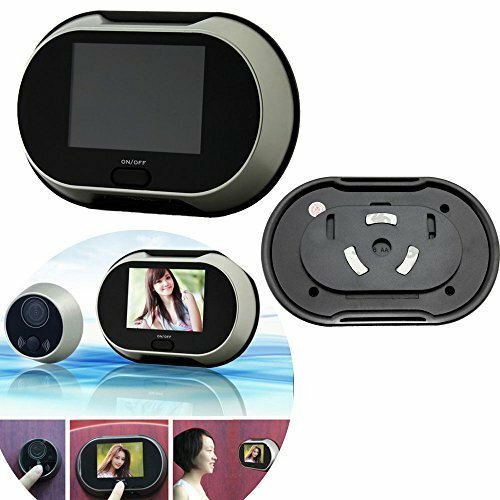 Ravtech(TM) TFT Digital Video Doorbell Doorphone Peephole Viewer Lens AutoTake Photos Camera Don't Disturb Function Door Bell Eye 3.5"
Safety Technology International, Inc. - STI 33010 Additional Wireless Button. Designed for use with the STI Wireless Chime Receiver: 32500 (sold separately). 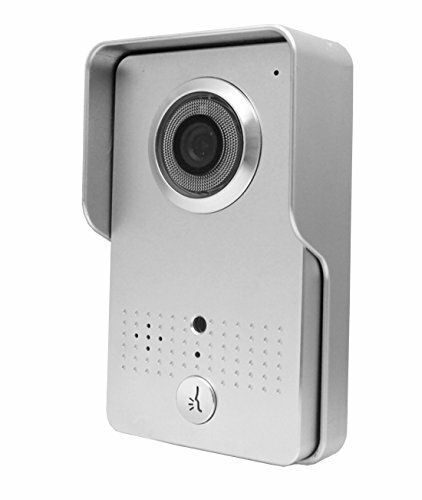 Easily install at any door, gate, or garage door to create a doorbell. Button transmits 13 selectable sounds to any receiver. Conveniently select the sound of your choice on the actual button. When a visitor presses the button the receiver chimes (STI receiver model 32500 sold separately). Operates up to 250 feet from the receiver. 32 selectable codes to help block interference from outside signals. Contents: wireless doorbell button, (2) 3 volt lithium batteries (installed), double-sided tape, screws. 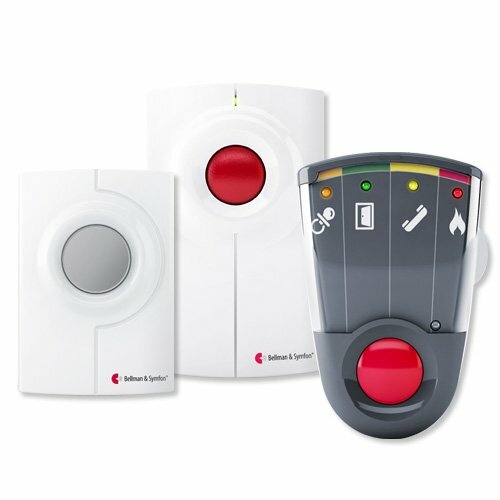 Safety Technology International, Inc. "We protect the things that protect you"
Easy to install with no wiring NuTone plug-in door chimes are truly the height of convenience. Great for remote locations or noisy environments these chimes ensure that visitors won't be missed no matter where you are in the house! FeaturesWhite receiver with built-in strobe light can be plugged into a convenient wall outlet and will blend no matter its setting - making it ultimately versatile; ideal for hearing impaired or noisy environments so no visitor will be missed Strobe flashes on all audible tones - 8 note Westminster or two different 2-note sounds Extra LA224RWH receivers can be added to see/hear chime in additional areas of home Chime plugs into any 120 volt AC electrical outlet White rectangular shaped wireless pushbutton included that uses one 3-volt CR2032 battery (also included) Active transmitter pushbutton and receiver chime "learn" process prevents interference with other wireless products Wireless range can vary from 20 to 125 feet depending on your home's construction. Wood and vinyl siding are ideal; metal or masonry decreases the range Depth - 1-5/8 in. Height - 4-1/2 in. Width - 3-3/4 in. 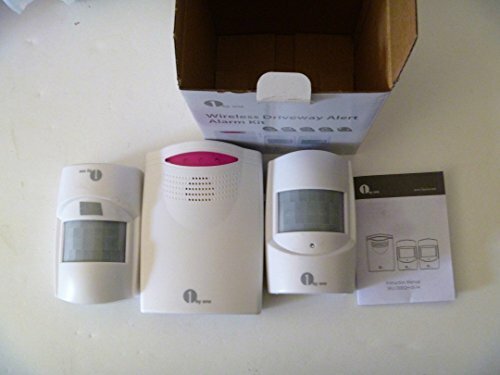 The Bellman Visit Value Pack 3 includes everything you need for a wireless alert system that lets you know when your doorbell or telephone rings. Designed for those with hearing and/or vision loss, the Bellman Visit System provides visual and vibrating alerts to help you recognize everyday events at home. Simply place the compact pager receiver in your pocket or on your belt to receive alerts from anywhere in your home. Never again miss a call or visitor... rely on Bellman Visit. The Push Button Transmitter triggers the Pager Receiver to alert you when the button is pressed. It's that simple. Mount it as a doorbell, or use it to get someone's attention in your home. The Telephone/Multipurpose Transmitter lets you know when your telephone rings by detecting the sound, then activating the Pager Receiver. The transmitter also operates as a push button transmitter. 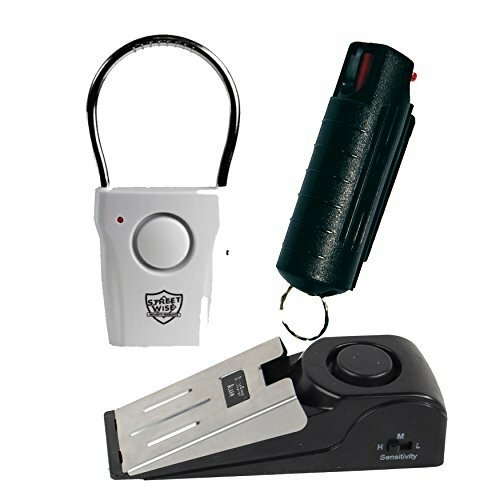 The included Vibrating Pager Receiver is small enough to carry by pocket or belt-clip so you can receive Bellman Visit alerts wherever you go. The wireless device provides powerful vibrations and different colored flashing alerts for different Bellman Visit transmitters. Multi-Colored LED Flashes: Orange LED indicates a normal Baby-Cry Transmitter. Green LED indicates a normal Door Transmitter. Yellow LED indicates a Telephone Transmitter. Red LED indicates a Smoke Alarm Transmitter. A variety of transmitters and accessories can be added to the Bellman Visit System. You can be notified of a smoke alarm, your crying baby and more. All these functions are integrated into a well-designed wireless system. 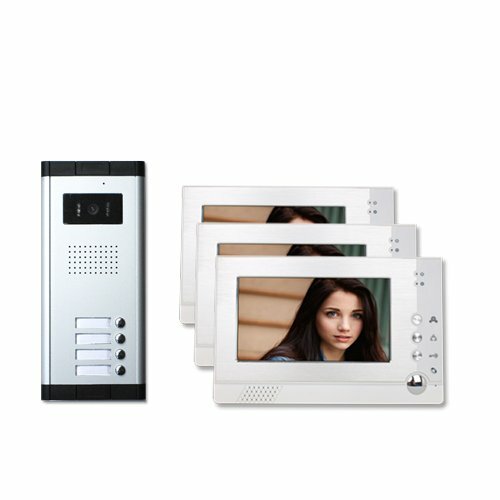 KIT INCLUDES: Visit Push Button Transmitter: alerts you to someone at the door. Visit Telephone/Multi-Purpose Transmitter: alerts you to telephone calls. Visit Vibrating Pager Receiver: body-worn receiver alerts with vibrations and visual light indicators. NOTE: In order to be notified, you will need to purchase a Bellman Visit receiver that lets you know when the transmitter is activated. 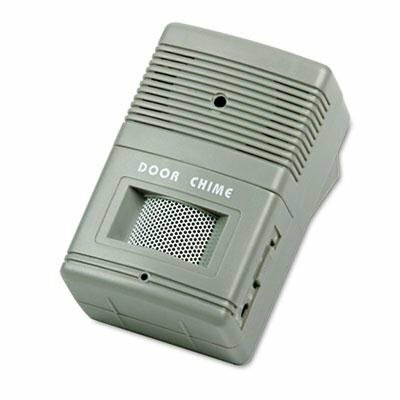 Tatco - Visitor Arrival/Departure Chime Battery Operated 2-3/4W X 2D X 4-1/4H Gray "Product Category: Breakroom And Janitorial/Building Safety & Security Products"
Visitor Arrival/Departure Chime Battery Operated 2-3/4w x 2d x 4-1/4h Gray - Pleasant &ldquoding-dong” sound alerts employees when visitors enter or exit. - High/low/off adjustable volume control. - Light-reactive sensor has sensing distance up to 15 ft. - Wall mountable with angle-adjustable mounting bracket (included). 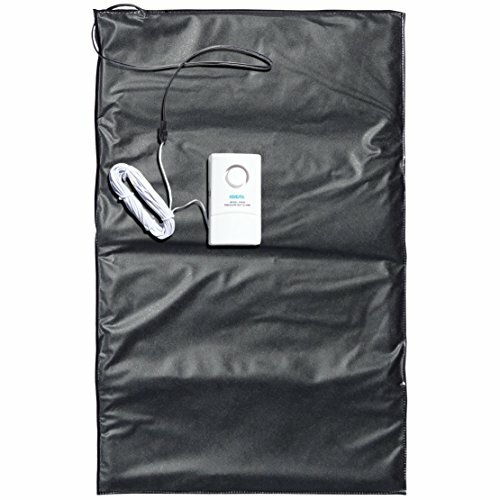 - Can be used with door open or closed. - Color(s): Gray Width: 2 3/4" Depth: 2" Height: 4 1/4".